Fifteen teams across campus planned for about two years to host a special group of more than 1,500 people for eight days. Miami University welcomed the American Legion Buckeye Boys State to campus earlier this month. The program is a hands-on experience in the operation of the democratic form of government, the organization of political parties and the relationship of one to the other in shaping Ohio government. But how much planning goes into such a complex event? The program stretched across all quads on campus. 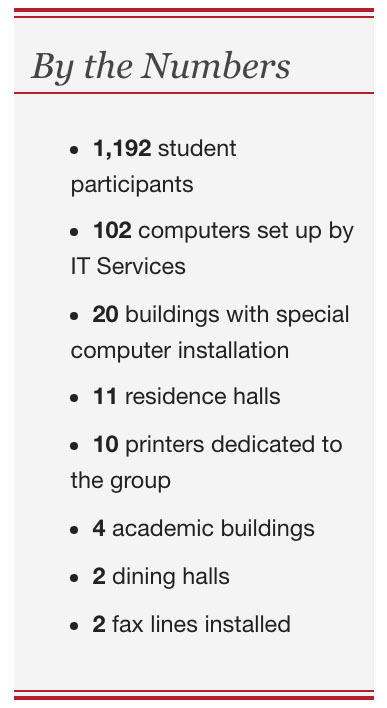 Participants occupied every residence hall on north and east quads and other facilities used during the week included Elliott, Ogden and Stoddard halls, Cook Field, the Marcum Hotel and Conference Center, the Miami Inn, Phillips Hall and the rec center. Physical facilities employees worked to prep the grounds and residence halls for the event. 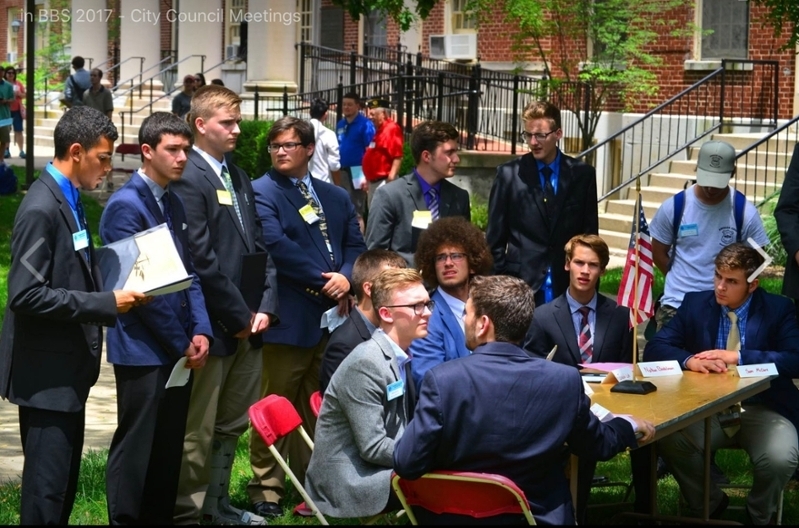 Buckeye Boys State participants run their City Council meetings. The Buckeye Boys State program headquarters was housed in the psychology building, and Farmer School of Business hosted the legislative services of the program. Millett Hall was used daily for events that involved all participants, including an address by Ohio Gov. John Kasich. Miami’s ROTC, also housed in Millett, provided classroom space and raised a flag to be used in a memorial service. Miami also relied on outside support. The Butler County Regional Transit Authority (BCRTA) teamed up with MUPD and parking services to coordinate registration logistics and find a workable parking plan to support the entire program. Family Day for the participating students included a special program by the office of admission, complete with a campus tour. Many families spent the night in town, taking their sons to dinner, which was beneficial to area businesses. Both campus and city organizers say they look forward to welcoming American Legion Buckeye Boys State leaders and students back to campus - and Oxford - next summer. The five-year contract runs through the summer of 2021.